We plan to head to Greece next week for the sequel to our Cretan road trip and followed by explorations of a few new destinations. We will continue to watch Iceland's volcano and hope that airlines get back to normal by the time we are ready to get on board. Although flights are resuming, we won't believe we are on our way until we are. Our plans are to fly into Heathrow, overnight at Gatwick and fly out the next morning (see earlier post on flythomascook.com ) with Crete as our destination. The small port towns of Sfakia and Loutro on the island's south coast are calling us back. 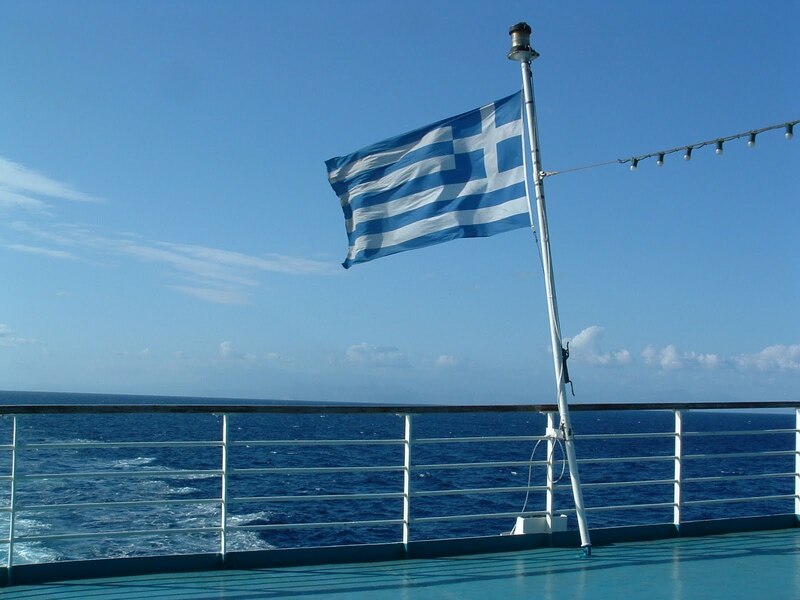 After we get our fill of Cretan yogurt and honey we will hop aboard a ferryand head to the land of the Knights of St. John, Rhodes, and then Symi and perhaps others of the 12 major Dodecanese islands scattered about the tip end of Turkey. We are scheduled to return to London on another of Europe's other low-cost airlines, EasyJet and after a two-night layover in London fly back to Seattle on Iceland Air. It all seemed real simple before the volcano blew its top. The good news is that our plans for Greece are 'no plans' so nothing aside from a rental car has been booked there. We have only London hotel reservations so should we need to cancel, that part will be a snap. But even for those of us who are passionate about travel, the unraveling of air travel could prove a bit more tedious. For the next few days we will assume the trip is still going as planned. House-sitters and yard care is in place. Trip necessities are being collected at the always ready suitcases. . . 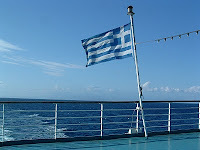 Does the continuing economic crisis in Greece provide any problems for travelers? News reports Thursday in both the Wall Street Journal and the BBC were of civil servants striking in Athens because of the steps being taken by the govt. to tighten the belt. They apparently blocked ferry ingress and egress at Piraeus the main port of Athens. Adrianna's Symi blog has made reference to the already tough economic times on that island and the effects of the volcano in keeping the usual influx of tourists away which only contributes to the decline. The bright side is that the Euro was on Thursday about $1.33 to the US dollar vs. the near $1.70 we've hit and the more usual $1.50 exchange.